In an interview given to public television news channel M1, Mr. Orbán stressed that the Hungarians had tried everything they could to convince the UK to remain a member of the European Union – even intervening in the British referendum campaign. But these attempts had failed. “Now we have no choice but to accept the decision they have made”, he said. The agreement signed on Sunday legally concludes Britain’s withdrawal, and marks the end of negotiations with the UK’s EU partners. “It is no exaggeration to say that this is indeed a sad Sunday. No matter how well one arranges it, a divorce is still a divorce”, he said. He underlined that the loss is great, because Britain is a rich country which will be taking a lot of money with it when it leaves, which means that less money will remain within the EU. 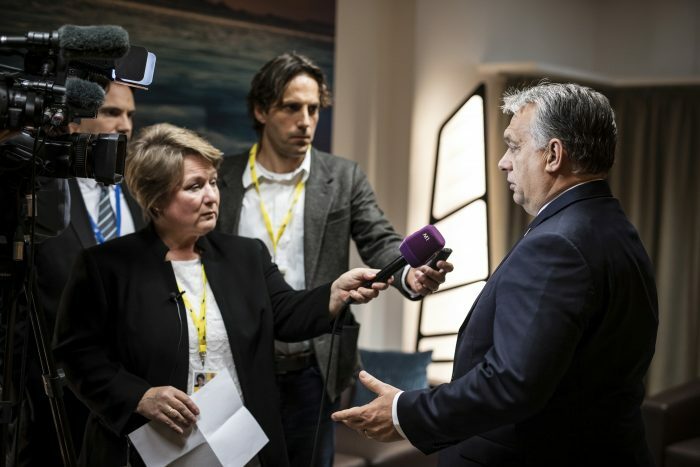 In other words, Mr. Orbán added, the loss sustained by the EU can also be measured in monetary terms, as well as in political and wider economic terms. If the British had remained, he stressed, over the next few years there would also be more money available for Hungary from the European Union’s budget. The Prime Minister said that negotiations had been intensive, with the parties needing to come to an agreement on very important issues such as trade rights, investments and the future of financial services. He said that “This is not a matter of victory or defeat, but who is better off and who is worse off, and whether there are solutions which benefit us both.” He added that “In situations like this there is little room for such solutions”, and everyone had to make major concessions.